What a telling sentiment. I’m certain that everyone would agree that we’ve all found ourselves saying it at one point in our lives or the other. The reason I find it strange is because one hundred percent of the time when we use it, we seem to take it for granted that we’ve assumed that the person we’re saying it to holds to the very same ideas about this assumed ‘standard of perfection,’ and that it should be a given that they agree that ‘we all’ indeed ‘fall short of it’ – like it should be common knowledge. If this wasn’t true, we’d instead find ourselves saying things like: “I’m not perfect, but you possibly could be.” Yet, unless for merely sarcastic effect, I’ve never heard anyone retorting that before. Instead, the sentiment seems to always be used when we want to validate our own imperfection by reminding our hearers that ‘they too’ fall short of this standard they also should already know of. If we were kind, we might then see fit to insist upon a mental health assessment on their behalf. 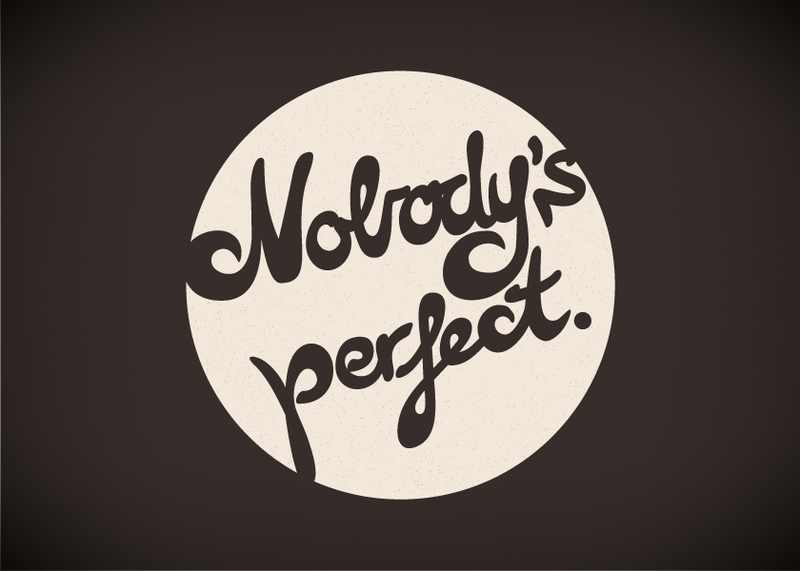 But before I stray too far from the original thought, I think it’s a good time to now clarify that the kind of perfection that I noticed that we seem to assume that ‘all people fall short of’ when we say ‘nobody’s perfect’, seems to be *moral* perfection. But I’m curious to investigate today *why* we all assume that it should be collectively acknowledged that “nobody’s perfect”… unless of course we all believe that the statement we’re making is ‘objectively true’ – meaning, regardless of our individually professed belief system, this stands as an absolute fact that should be acknowledge by all and that it transcends our individual beliefs even if we hold to the contrary somehow ‘in theory’. In which case, a self-professed moral relativist would be guilty of undermining their own professed beliefs by ever making such a statement. Self-professed moral relativists ‘do’ make such statements. In which case they make it apparent that although they profess to believe such things as “all ways to God are right” or even that “many ways to God” is plausible, (even if they know that the world’s top religions fundamentally contradict one another), we find that although they can try to escape logic in theory, they can’t seem to escape their own subconscious from making absolute and objective statements in daily practice. I’d even go as far as to say that if the dogmatic beliefs of such professors was a form of ‘subjective moral reasoning religious adherence,’ (which I totally believe it is) then I caution you: *Beware,* these are the true hypocrites of our day. There is no difference, for all have sinned and fall short of the glory of God, and all are justified freely by his grace through the redemption that came by Christ Jesus. Since “nobody’s perfect” – not Muhammad, not Buddha, not Mother Teresa nor Hitler – what better reason is there than for us to trust in the one sinless, perfect, Son of God who gave His life for us? Zechariah, a priest who regularly served in the temple, had just received news that his formerly barren wife Elizabeth would bear a child in her old age. This child would grow up to be John the Baptist and so the angel Gabriel instructed Zechariah to name the child “John.” However, because of Zechariahs’ doubt, he would be silenced as a mute until the fulfillment of the Word of God through the angel Gabriel came to fruition. Months later, a young local commoner and virgin girl betrothed to be married; Mary, receives a similar visit from the angel Gabriel where he informs her that she too will bear a child, except, her child will be born to her while she remains a virgin because this child will be begotten of the Holy Spirit. The angel also informs the servant Mary, about her cousin Elizabeth’s child who was now in his sixth month. Mary, faithfully obliged to all that was spoken by the angel, received it as true and humbly accepted her fate. Unbeknown to Mary of Zechariahs’ vision and silence, but now informed of her cousins pregnancy, she excitedly hurries to the town where Zechariah lived, and enters their home to greet Elizabeth. At the sound of Mary’s greeting alone the child leaped in Elizabeth’s womb and she also is then filled with the Holy Spirit. Speaking by the Spirit of Truth, the Holy Spirit, Elizabeth then acknowledges that the child Mary is carrying is ‘her’ Lord – the Lord Jesus – who would soon enter the world. I have read the Magnificat many times before, but only recently did I consider what it must’ve been like to hear the Magnificat through the ears of one person in this particular season of his life whom I believe was present in that house when Mary arrived: Zechariah. “Oh how my soul praises the Lord. And now was the moment of decision. Zechariah had obviously notified his wife of the name the angel had spoken. Zechariah had been silenced so that he could do more listening than speaking in this next season of his life, and Zechariah had been privy to hearing what we now call ‘the Magnificat’ spoken by Mary while considering his silence and Mary’s overflowing joys from having received the Word of God by the message of the angel Gabriel. Instantly, the Bible says, Zechariah could speak again and now the first words out of his mouth were praises to God in a doxology of his own! What things has the Spirit of Jesus, or the angels of God placed before us in this season of transition and change, to stir us to repentance so that we too can carry out God’s instruction – for our own good – to move us to overwhelming joy and worship as we are being likened more and more to the image of Christ? “Wait, what?” You might be thinking. “Satan is leading my life? No way!” But to believe that you can never – or will never- be led by demonic influence, is to deceive yourself of the true revelation of Scripture. Redemption has to do with being ‘redeemed’ from a situation that was destitute; even death by resurrection. Salvation has to do with being ‘saved’ from sin. So how are either of these possible realities for us today if we weren’t first susceptible to, and carried along by demonic leading at times in our life? But instead of swinging the pendulum too far in the other direction and living in fear of falling prey to demonic designs, Jesus instead gave us a powerful example of how by trusting in God’s Spirit in us, we can identify and challenge Satanic ploys against our life with the Word of God and live out a fearless confident and even joyful profession of faith even when situations seem destitute and trying which can have the tendency to lead us into sin. *THE DEVIL LED HIM (Jesus) up to a high place* and showed him in an instant all the kingdoms of the world. *THE DEVIL LED HIM (Jesus) to Jerusalem* and had him stand on the highest point of the temple. 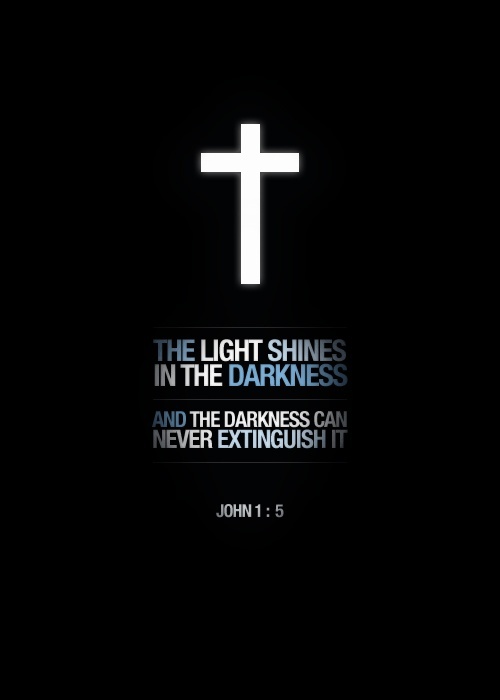 Even though *God allowed* satanic leading in Jesus life during this trial of testing known today as the “Testing in the Wilderness” (as Satan is powerless to do anything against us unless he is first given expressed permission by God – *Job 1:12*) Jesus’ preparation to be victorious against any such leading resulting in sin was always rooted in an authoritative use of a well reasoned and balanced understanding of the entire counsel of Scripture. Secondly, a well balanced reasoning of Scripture against Scripture. (e.g Yes it says *this* but not to the neglect of *that*) was his defence against unbalanced demands “supposedly” of God. Lastly, an authoritative demonstration of a firmly established sense of identity *over Satan* by commanding him, *”Away from me Satan!”* and a reminder of Whose glory he was living for alone – God. But what happens when it becomes God’s design for you to glorify Him by not only your life, but also, by death – as Jesus and eleven out of His twelve disciples did? Fast forward two thousand years. Imagine going to someone in your congregation on a Sunday morning who professes to follow Jesus and giving them a prophetic word like that! They might rebuke you as demonic. But my point is that true wisdom that comes from above is *impartial*, and the Apostle knew it. He recognized that this Word was exactly as the prophet said it was, *from the Holy Spirit. * But he also recognized that it didn’t mean that the men who would carry it out were from God. Paul was in essence going to be led by a satanic plot – but for the glory of God, because through it he would show that to suffer and die for Christ was greater by far than to live the few years of temporal life here on this earth without Him. Do we see Christ as this precious to us? I know many men and women who would be willing to die to protect the temporal lives of their children, but who would not so urgently even give a second thought to dying for the One who alone has the power to give eternal life. 1. 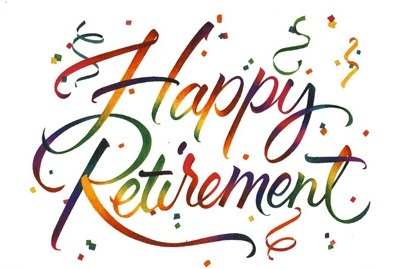 Will my retirement fund carry me through for the rest of my life? & 2. What will I do with all this free time? 1. Was the price that Jesus Christ paid with His own life on the cross – to purchase my life from death – sufficient to keep and sustain me for all eternity? & 2. What does He call me to now do with my freedom? “Yes” His sacrifice was more than enough! And so now, we joyfully spend our time offering spiritual retirement packages to the world! That’s okay! God is in the business of retiring you from trying to fix yourself and earn your way to heaven (which is impossible anyway) to instead come and receive His loving grace which alone has the power to transform! And you certainly don’t want to miss this offer! – & freedom from sin and death! If you can find a better offer than that – take it! That’s how confident I am that you never will. So, want to put an end to worrying about your eternal future?